SARONNO, Italy – There are a lot of things I like about traveling by train. Most of all I like the idea of easing into a place rather than landing on it from out of the blue. Another thing I like are the people I meet, especially those from the United States who update me on what’s going on there. Somehow personal perspectives are different than newspaper and television reports, and very often a better indicator of the state of the country. For the past several months I have been looking for an apartment in Liguria, and on Friday I had an appointment to see what I hoped would turn out to be my new house by the sea. To get there I had to take two trains. The first train is one that comes to Saronno from Malpensa Airport and goes directly to Milan’s Central Train Station, so there are always travelers and tourists on that first train. Yesterday there were a large number of Argentinians, which is a little unusual. I think this is the first time I’ve seen travelers from Argentina in Milan, although rumor has it there is a fairly substantial Argentinian community here. On the second train, the one that goes from Milan to Chiavari, I ended up in a compartment with two ladies who at first said they were from New York, but as it turned out, they too were from Argentina, but live in New York now. They were interesting, they were friends, they both work and they decided they wanted to go somewhere ‘pretty’. So they were on their way to a posh hotel in Portofino. 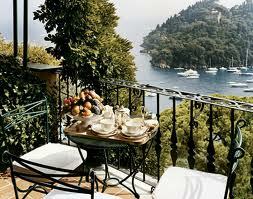 Portofino is, if nothing else, pretty. 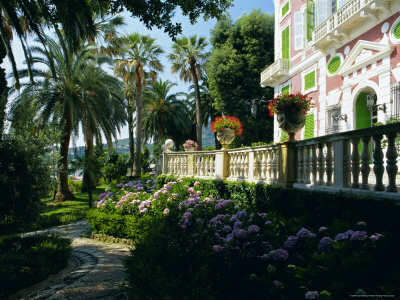 It’s right on the Mediterranean Sea, lush and tropical and just thinking about it makes me want to be there. On the train home, my first conversation was with an adorable young guy from Aberdeen, Scotland. 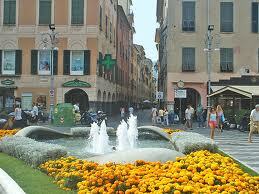 He had come to Santa Margherita to see his mother, who had twisted her ankle and was now hopping along on crutches. The good news was that there were no broken bones and so he was returning home, and she was going to continue with her vacation. The first year I lived in Italy I took an Italian course offered by the University of Genoa at the Villa Durazzo in Santa Margherita. I was living in Genoa Nervi at the time, a 20 minute train ride away. I've spent a lot of time in Santa, as the locals call it, as it was the place we all seemed to go to on the weekends, either for dinner or shopping. There are several good restaurants and nice boutiques, and it's just a pretty place to be. On the second train I started talking to Barbara and Jesus, a couple from Orange, County California. They had been traveling in Italy for the past couple of weeks and had mapped themselves quite a vacation. 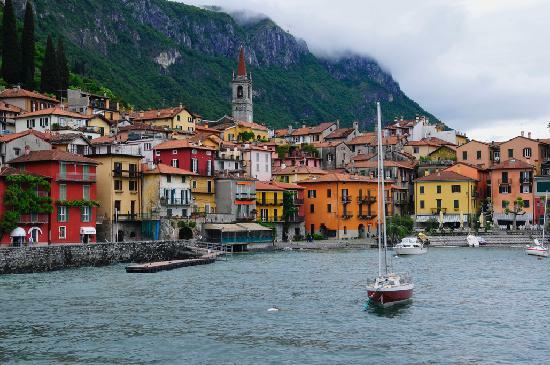 In addition to Florence and Rome, they had spent some time on Lake Como. Given my complete dismay at the Como City Council, or whoever authorized the construction of the fence that totally blocks the view of the lake from the town of Como, I was anxious to hear what they thought of it. “Oh, it was lovely,” said Barbara. “There was no fence where we were,” said her husband. You know, sometimes I get so caught up in the day to day of living that I forget where I am and it takes people like the ones I met on Friday, who have traveled thousands of miles just to be here for a week or two, to remind me of that. Oh, and yes, I did take the apartment. Riviera Part Two is about to begin.